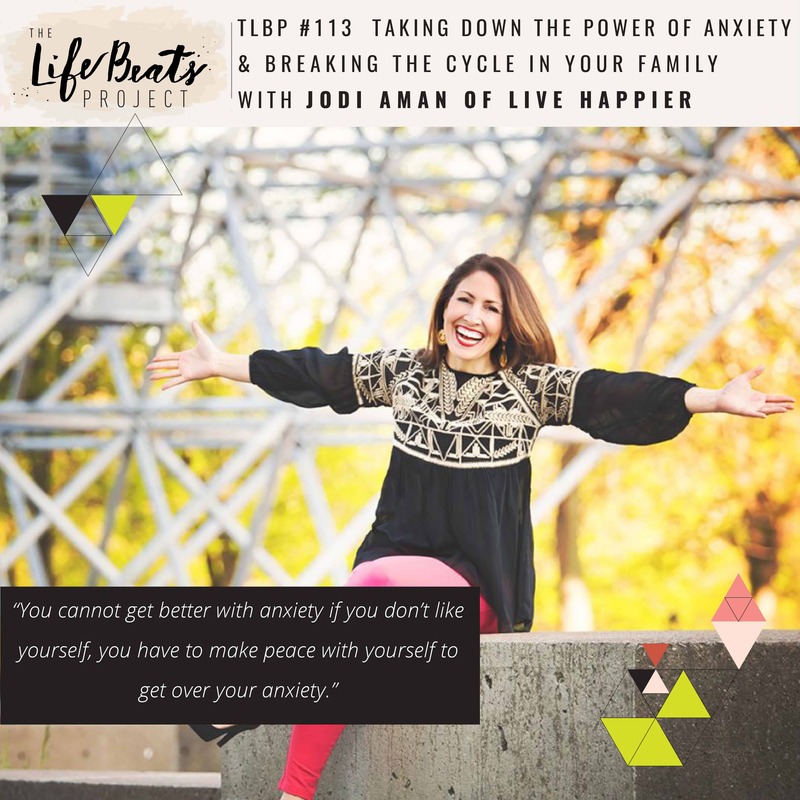 In today’s second episode on anxiety, we discuss more with today’s guest, Jodi Aman, YouTuber, speaker, practicing psychotherapist, and author of You: 1 Anxiety: 0 Win your life back from fear & panic. Jodi shares her own journey with anxiety beginning at the age of 5 when she learned about death and felt as if her security had been taken from her. She struggled through her childhood and early adulthood with being alone, feeling abandoned, having the lights off, and feeling nauseous and sick. She tells of the moment in her car after realizing that she was worse than some of the patients from the psychiatric center where she worked and decided that if she had learned this, she could also unlearn this. Jodi shares what she has since learned about anxiety, how she defines it, the biology behind it, and that it can be cured from your life. She identifies 6 steps to curing anxiety rooted in taking down its power as well as the two main reasons people are not getting better. She tells her triumphant story of when she realized that she had broken the legacy of anxiety in her family and she was not passing it onto her children. She shares some things we can do to parent through a panic attack, either yours or your child’s, as well as how we can change the story and energetic imprint of our past. Listen and be inspired to stop giving attention to or over-facing anxiety in your life, to recognize when you are getting better, and to believe that you can be cured from anxiety in your life and stop the cycle of it in your family.